I have frequently read that Swedish people enjoy a good standard of living, they are relatively healthy, they are well educated and they are supported by excellent welfare benefits. Even their crime statistics are better than most other countries. I therefore have to ask why their writers are so good at writing dark psychological thrillers. 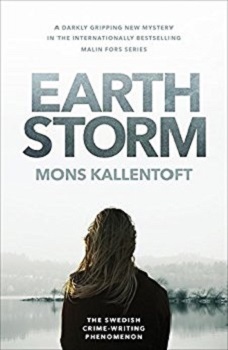 Earth Storm is the eighth book in the Malin Fors series and the first Mons Kallentoft book that I have read. I was not disappointed. It was easy to read and the short punchy chapters kept my attention despite a brief lull mid-way through when the investigation was appearing to stall. The plot is full of modern issues and information technology plays a large part in the investigation. Neil Smith has plenty of experience in translating Swedish fiction and he must take his share of the credit for such a good read. Kallentoft has created an interesting central character in Malin Fors, a personally flawed but effective thirty-something Detective Inspector. Around her, he has built an interesting investigative team, all with their own strengths and weaknesses. At work Malin Fors is something of a superhero and the plot might have been more realistic if the action parts were shared around a bit, particularly during the gripping climax. There was a small parallel plot featuring a problem that her daughter was experiencing at the same time. The book contains a fair measure of graphic violence. Not unrealistic considering the world that we live in but be warned if you are of a squeamish nature. It appears that at least twelve Malin Fors books have been published and I hope that I can find time to read more. I can recommend Earth Storm and I have awarded it four stars. After being awarded the Swedish equivalent to the Whitbread Award for his debut novel Pesetas, Mons Kallentoft chose to give his own unique take on the classic Scandi crime novel. His success was immediate. The first book in the series about superintendent Malin Fors – Midwinter Sacrifice / Midwinter Blood – received unanimous praise from the national critics; it also conquered the bestseller charts and has today sold more than 300,000 copies in Sweden alone. Today it is translated into 28 languages. great reviews! Looks like an interesting read! The book is an amazing read. 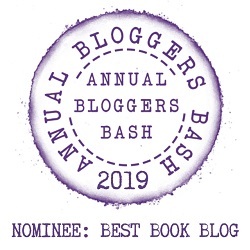 4 stars and a great series – what more could you want! Fabulous review!! I didn’t realised there was so many books in the series. Thank you. That cover reminds me of Need to Know by Karen Cleveland. It seems like an interesting read, I love short, punchy chapters! I don’t know the book, will have to check it out. Short punchy chapters really make a thriller I believe. You know, it’s interesting that you say that Swedish writers design great Dark novels, and in my opinion, it’s true. However, the UK has better urban fantasy then both the US and Sweden. Just my thought. I don’t read many urban fantasy’s so will have to take your word for it. You’ve made me very curious about the book. Will purchase in the new year. I like the sounds of this one, I will need to check it out! Great review! Thank you, glad you like the sound of it.